The Predator Movie Review today! Beyond The Trailer’s reaction & review of the 2018 Shane Black sequel! 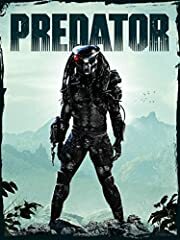 Big Predator vs Olivia Munn! The Predator Movie Review today! Beyond The Trailer host Grace Randolph’s reaction & review of the 2018 movie starring Boyd Holbrook, Olivia Munn, Trevante Rhodes, Jacob Tremblay and more, from Shane Black! Big predator and predator dogs! Should you see the full movie? 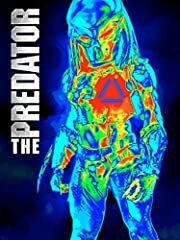 Enjoy The Predator in 2018 and be sure to make Beyond The Trailer your first stop for movie and entertainment news here on YouTube today! BTT T-Shirts, Backpacks & Phone Covers! And another franchise is destroyed with a shite film. Awful, just awful. Gutted, I so wanted this to be a great film but it sucked. Great genuine review as always! I’ve been checked out of “Predator” for a VERY long time. 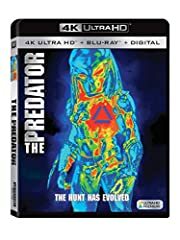 I was hoping that Shane Black would have taken some q’s from the original… thought that was going to happen with what I had seen with the casting (and perhaps it has it’s moments)… however what makes a great movie sadly isn’t the just the nostalgia and the predator itself. Studios are so screwing up with these classic franchises/characters… it’s disappointing. Maybe it just cant be done… dunno. Why should I lower my expectations? I rather not see it then. They really put the Editor in Predator with this mess. this movie got Preditored in the Prediting room? complete crap.. dont watch .. Impossible to be surprised by the review after knowing Shane was behind the Iron Man 3 mess. 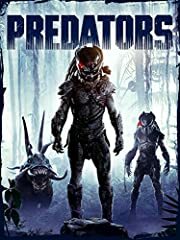 Predator movie, but being told to keep expectations low. Sonny Landham is turning in his grave. Sterling K Brown died. He shot himself in the head with his own ray gun. What was your take on the depictions of Asperger Syndrome and Tourette Syndrome? It may be something that should be discussed in a spoiler review. About halfway through the movie I was wishing the predator would kill me.! No way will Disney touch this R rated franchise after the mess with Black’s buddy. Especially after the Gunn fiasco. Olivia Munn: Office Christmas Party, Psylocke, and now a Predator movie! You should have been in Romy and Michele. Romy and Michele and Grace.